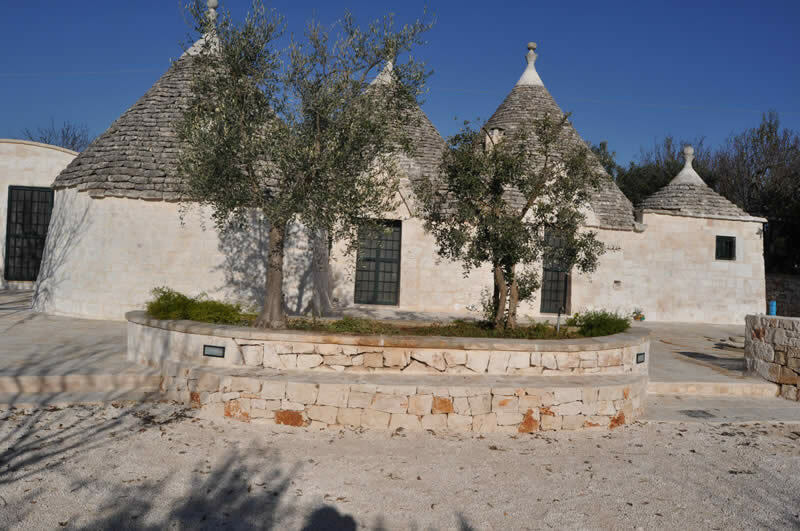 I Tre Coni are a group of trulli with adjacent lamia, a building with three large arched windows, and a small stone lamia, "lamietta". 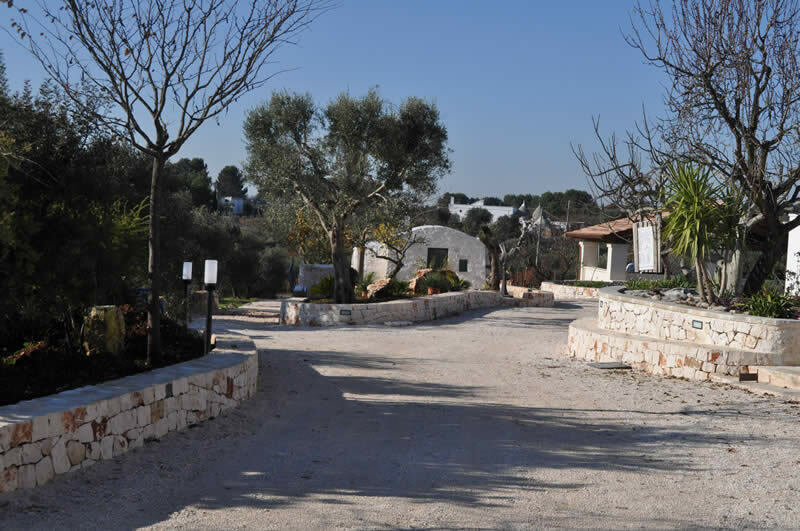 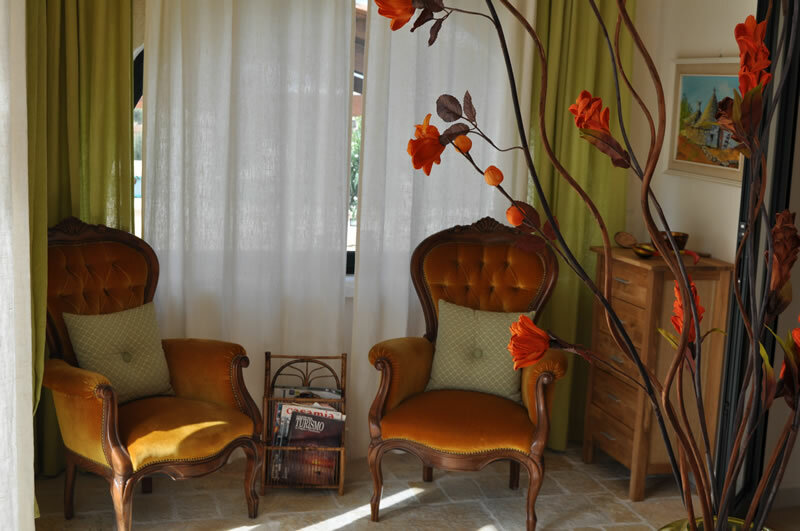 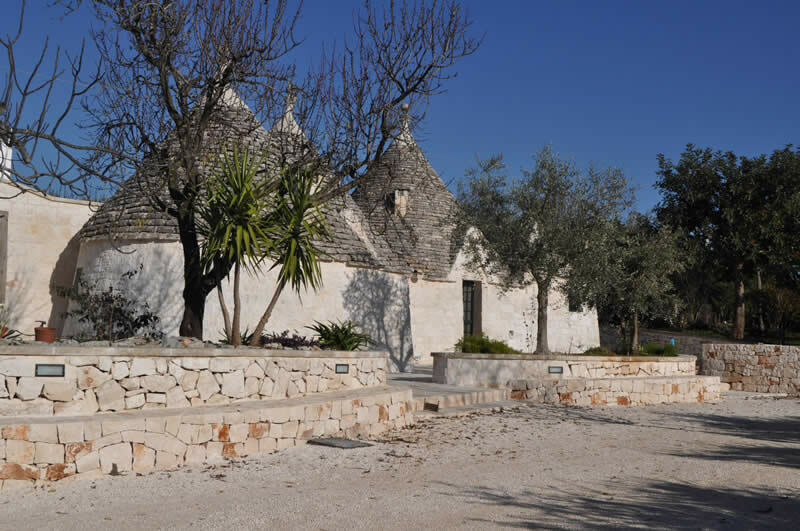 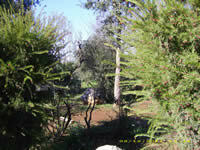 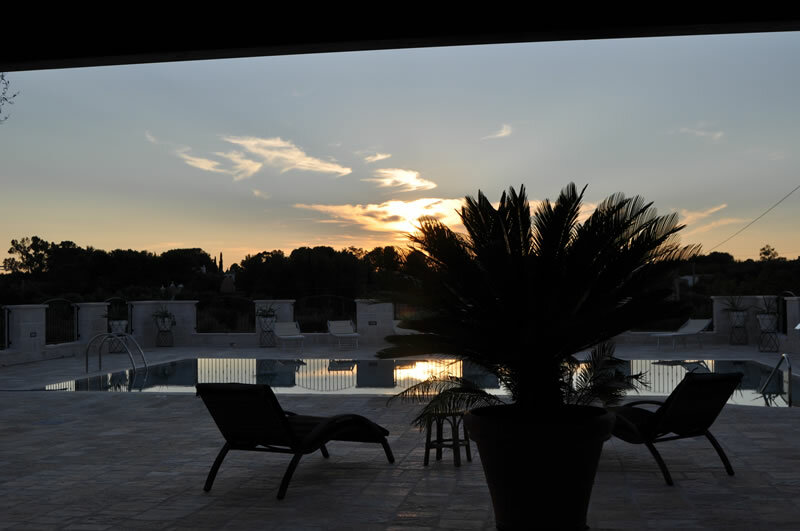 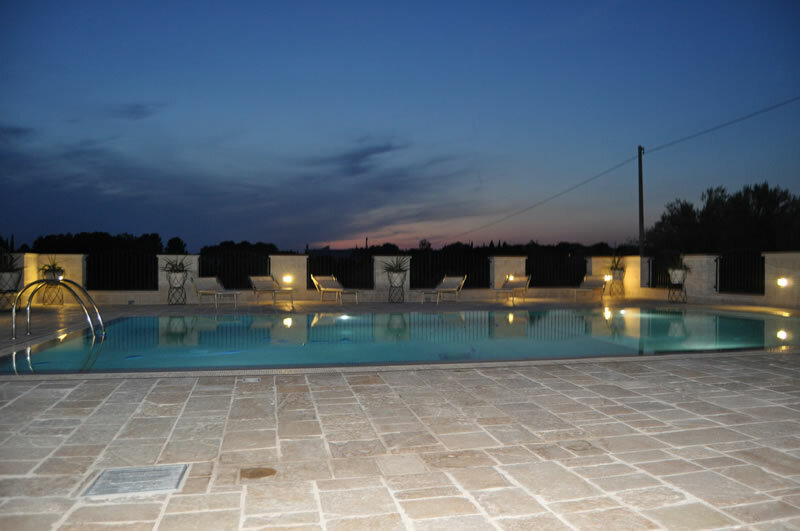 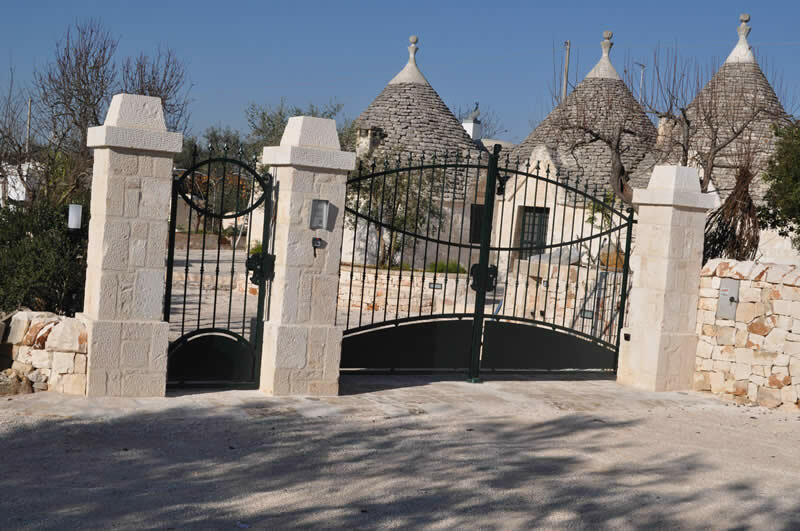 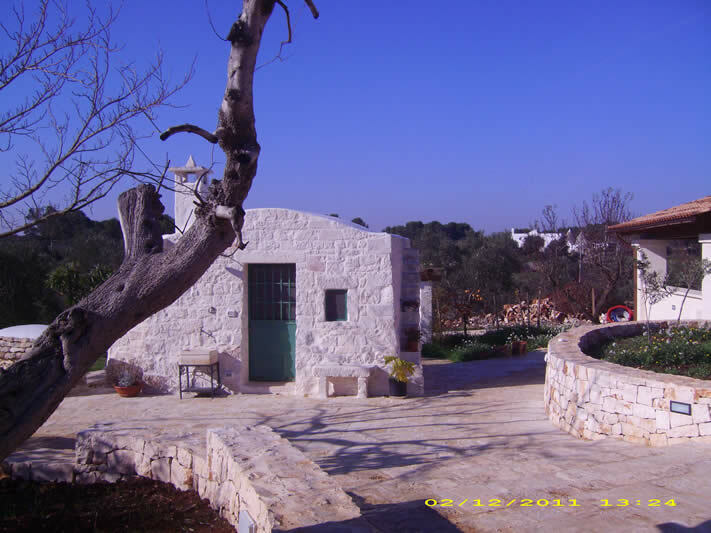 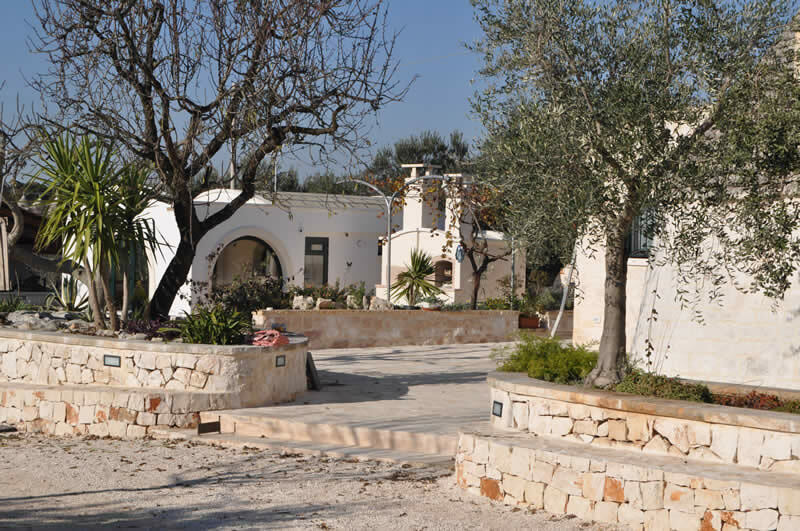 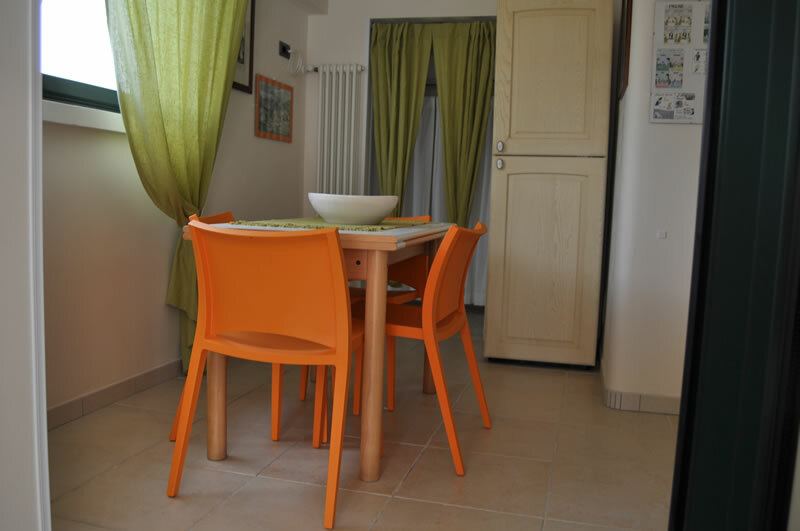 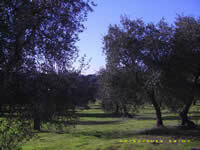 Trulli and lamietta are rented as B&B rooms, while the big lamia is rented as a self catering apartment. 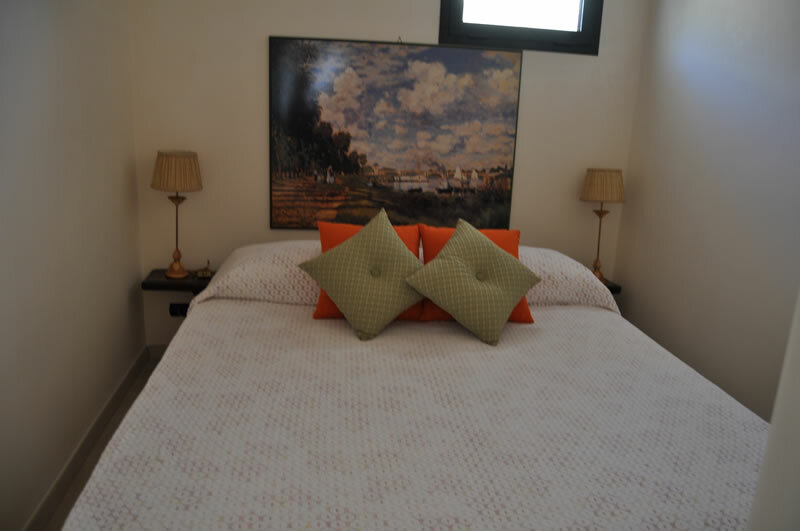 The property can also be rented all together in the self catering formula. 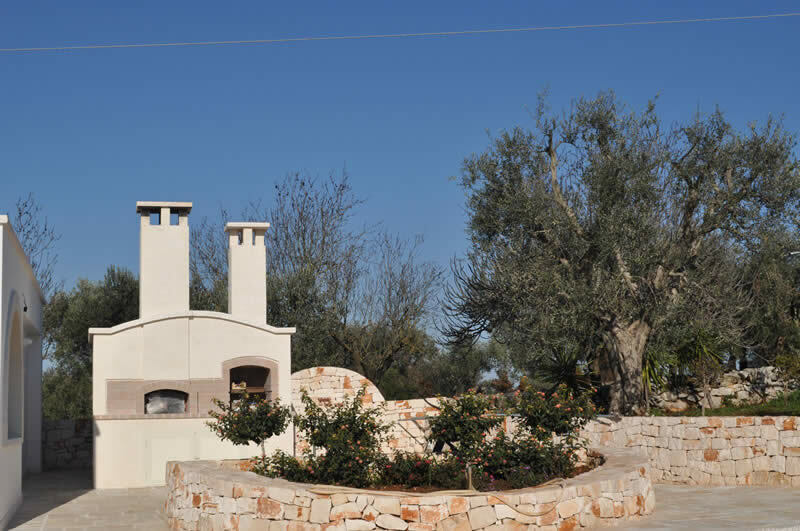 Each dwelling has a private outdoor area with tables, chairs and umbrellas and it´s surrounded by a beautiful garden with olive trees, almond trees and Mediterranean plants. 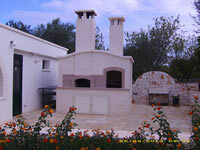 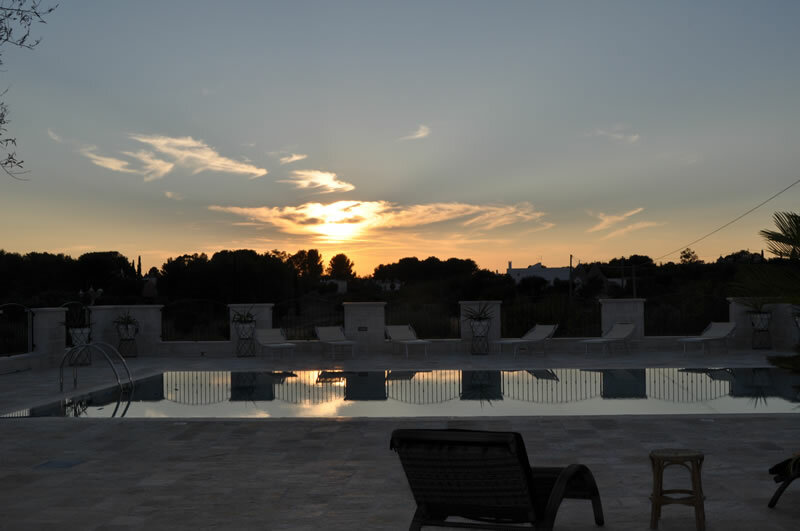 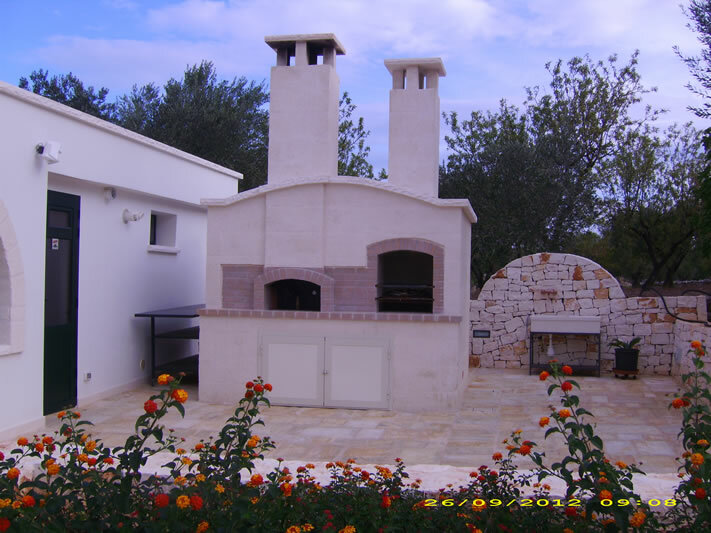 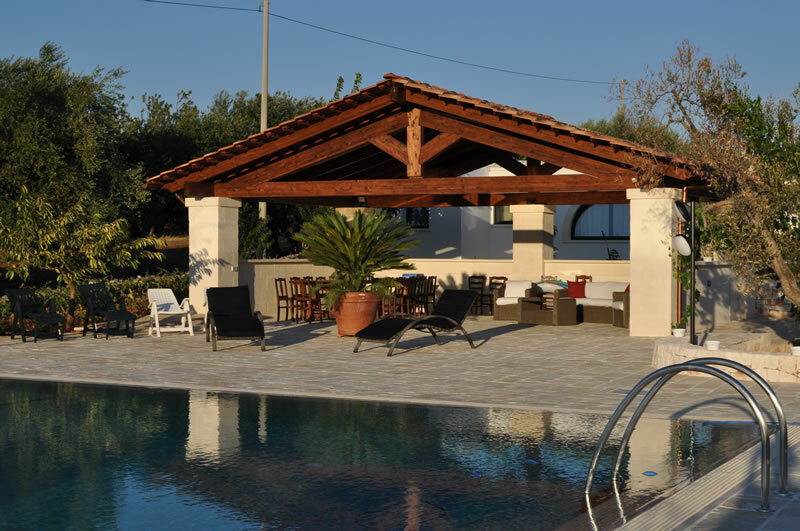 Guests have access to a wood oven and barbecue and a 12x6m swimming pool with tables and chairs in the shade. 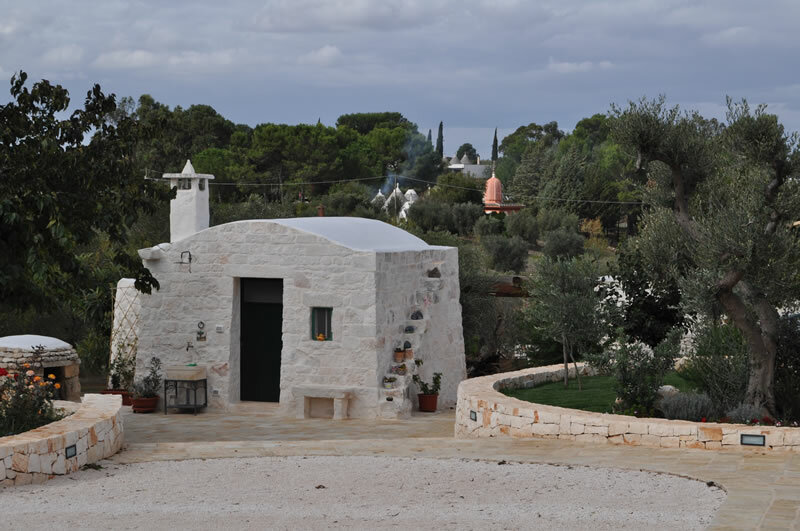 A few lovely towns of the Itria Valley are easy to reach by car: Cisternino (4km), Martina Franca (6km), Ceglie Messapica (10km) and Ostuni (12 km). 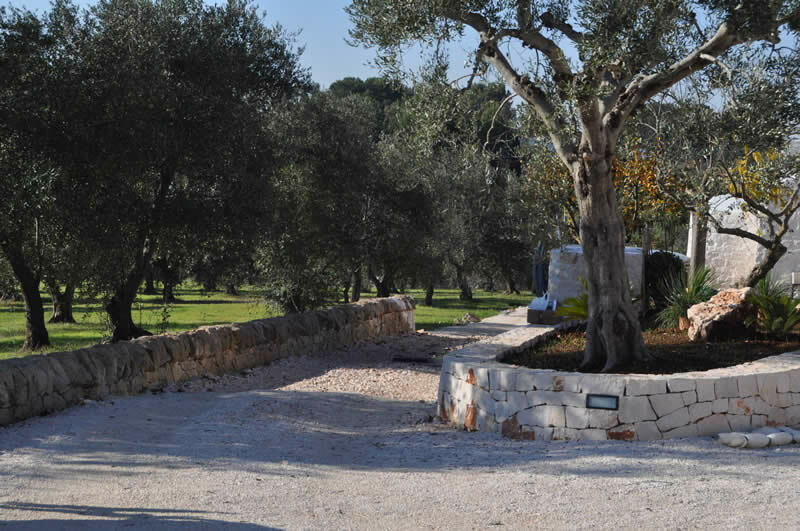 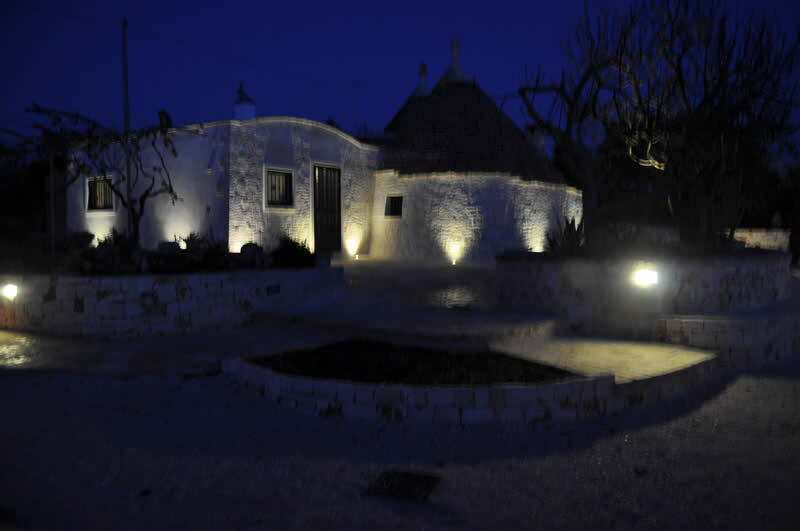 The trulli, for 2 people, have a double room, where the floor has the original white stones, called "chianche", and a bathroom with shower and hairdryer. 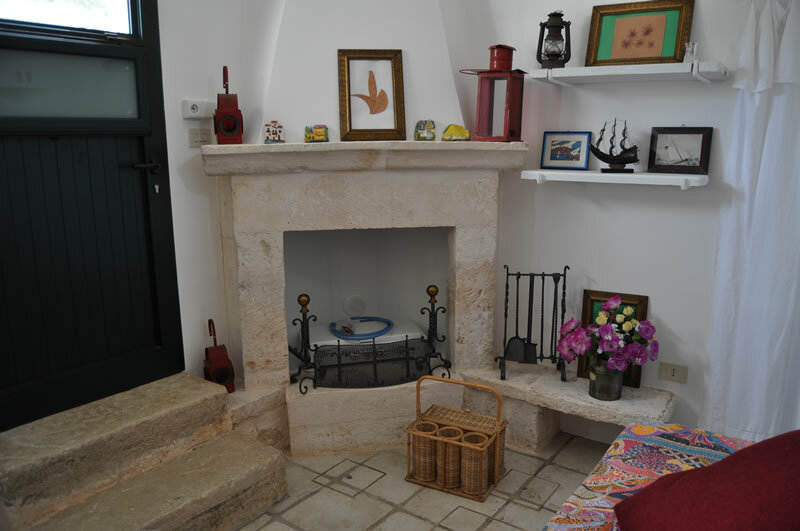 They are also equipped with satellite and digital TV and heating for the winter. 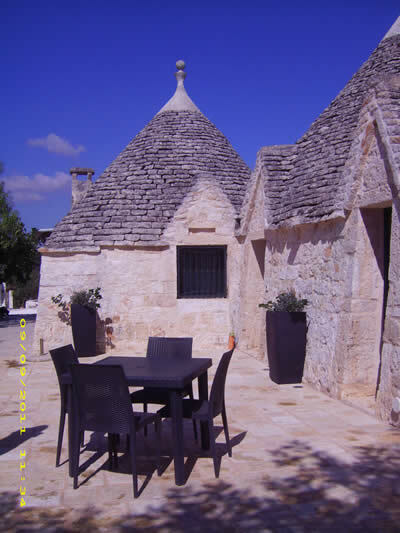 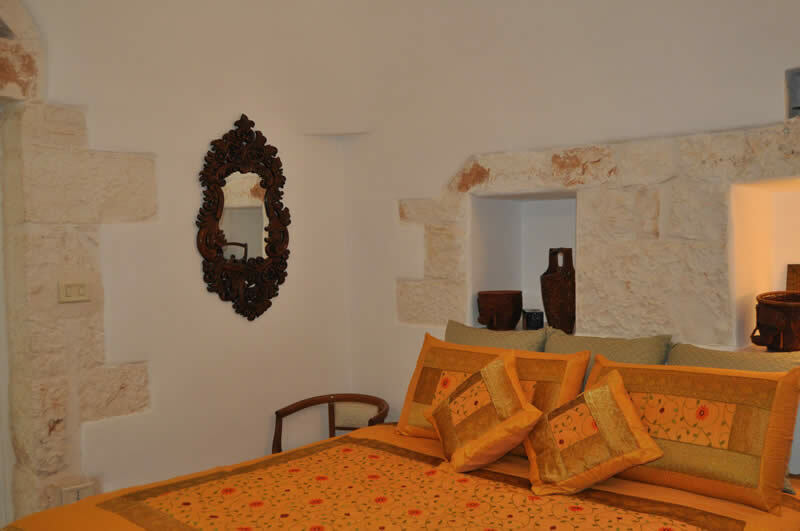 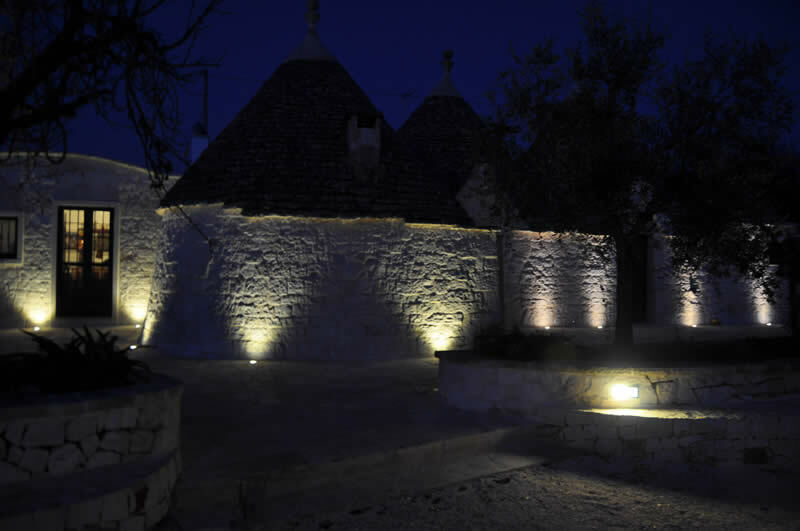 The trulli are rented as a B&B double room. 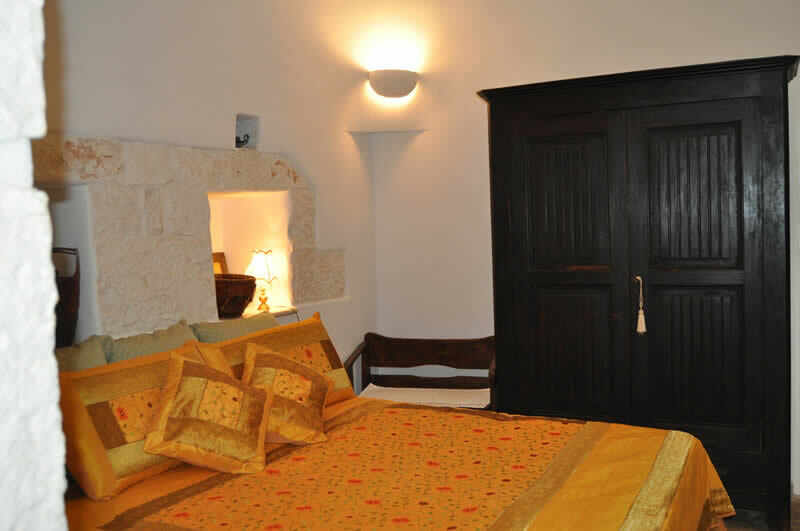 The big lamia, for 2 people, offers double room, living room with sofa, fully equipped kitchen (refrigerator with freezer, oven and 4 cooking hobs), large bathroom with shower (for two), washing machine, hairdryer, ironing facilities, independent heating, air conditioning, digital and satellite TV. 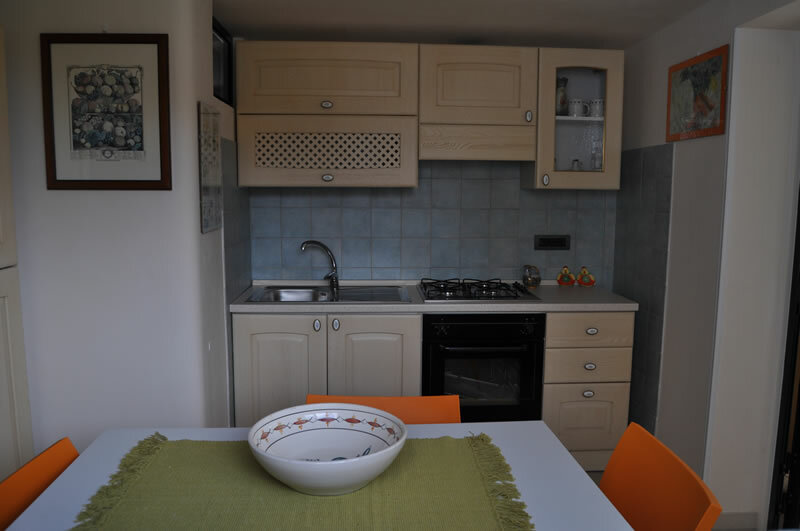 This apartment is rented for self catering stays. 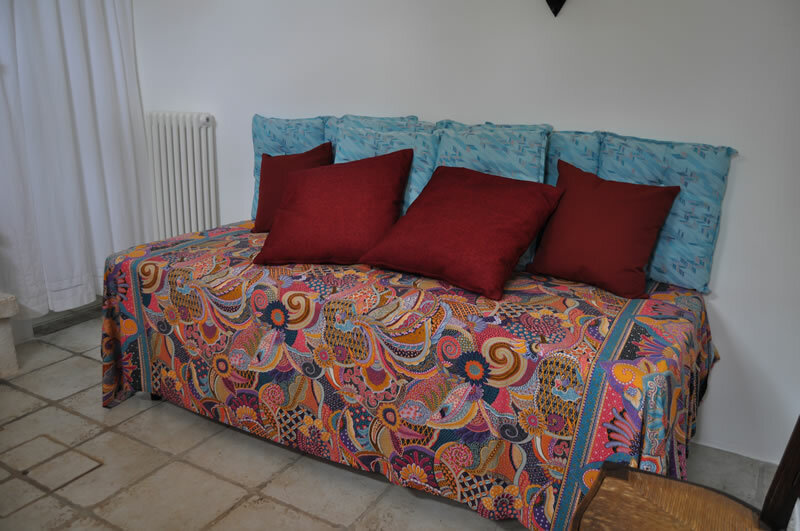 The lamietta, for 1 person, has a single room with fireplace, bathroom with shower and hairdryer, heating and digital TV. 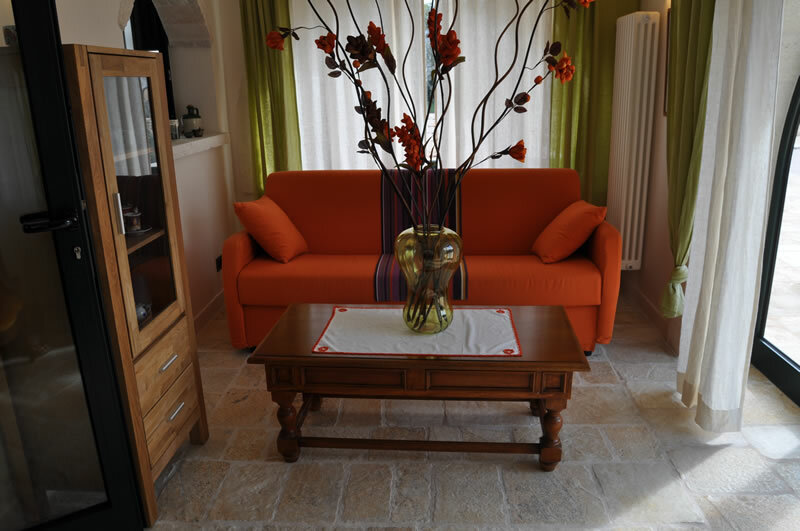 This room is rented for B&B stays. 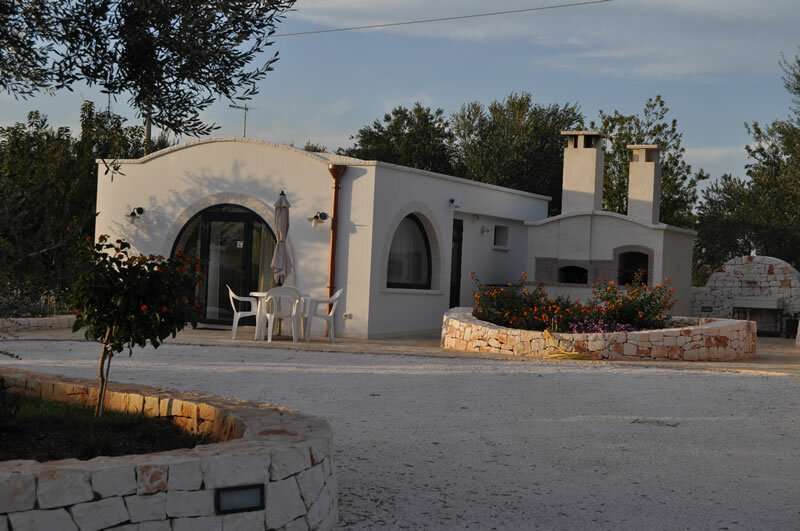 It is possible to rent the whole property for max 7 people in the self catering formula.